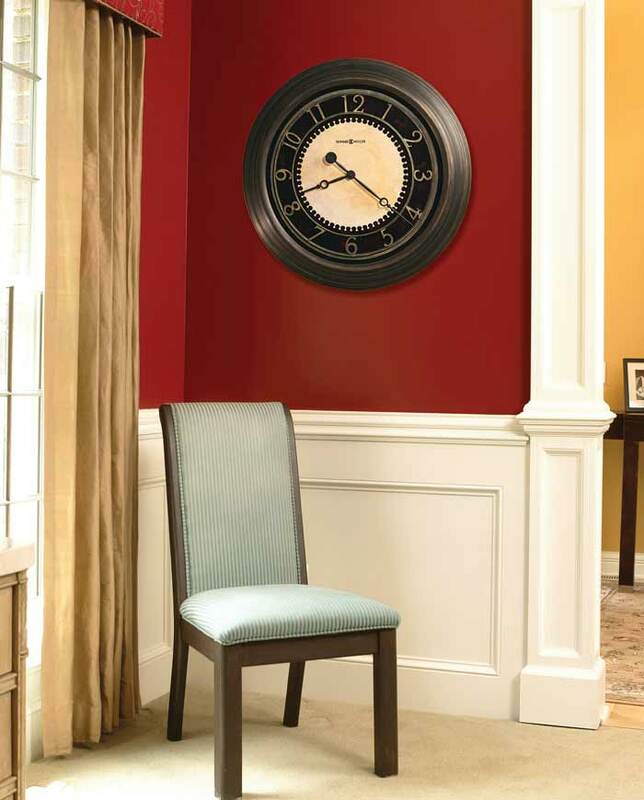 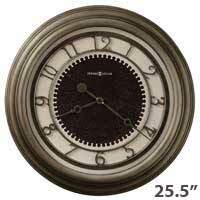 This 25-1/2 inch diameter gallery clock is finished in antique brushed brass finish. 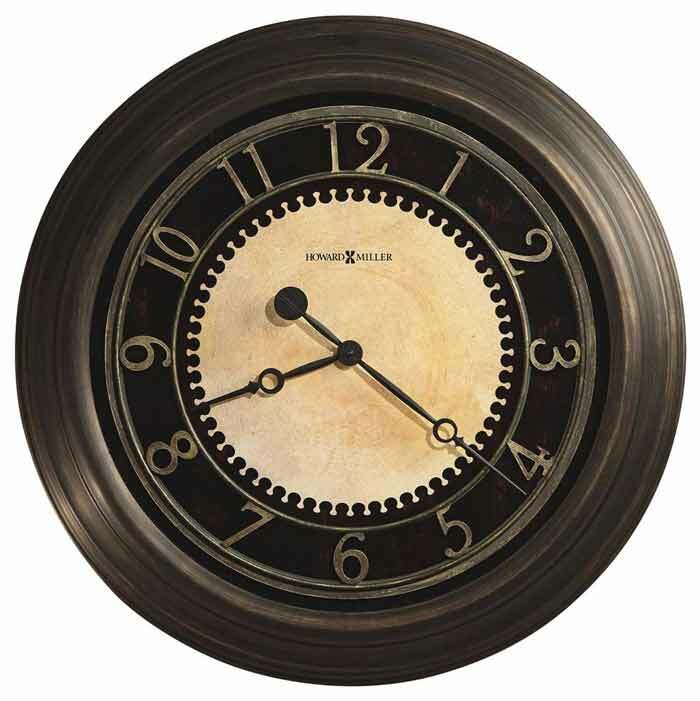 The aged black dial features an aged parchment center, applied Arabic numerals finished in aged brass, aged black hour and minute hands and flat glass. Quartz, battery operated movement. 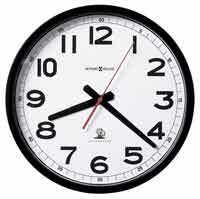 Size: Dia. 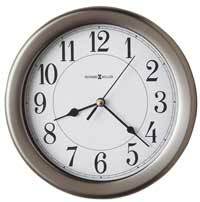 25-1/2" D. 2-3/4"
Clocks for sale at The Clock Depot including the 625-462 at discount prices.